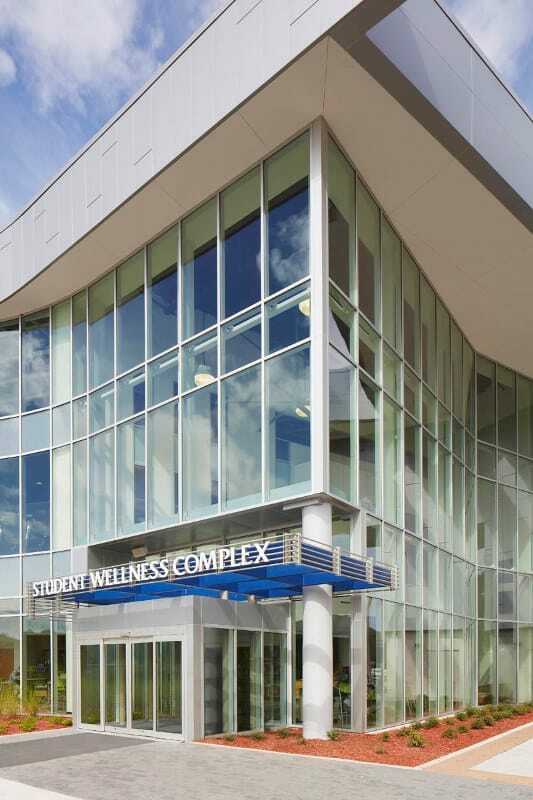 Gilbane provided construction management services for the new construction of a state-of-the-art student wellness center. The structure is steel-framed and noncombustible with concrete floors. The exterior facade consists of metal panels, glass curtain wall and brick veneer. 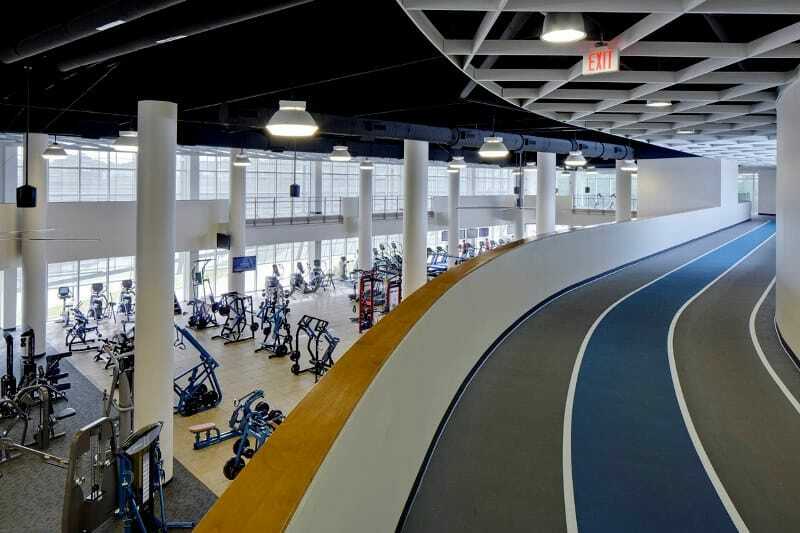 The multi-story building includes a fitness center, overhead indoor running track, specialty exercise studios, open exercise space for free weights and fixed equipment, three court multi-purpose gymnasium, roof top plaza, inside and outside 37-foot rock climbing walls, classrooms, offices, and retail space. The project LEED Gold certified. Integrated project services were part of the collaborative approach. For example, the interdisciplinary document coordination (IDC) review resulted in over 260+ RFI coordination items which could have led to change orders and delays in the field. The IDC review saved the project an estimated $150,000 in potential costs. Gilbane partnered with the trade contractors on the project to donate a commissioned life-size bronze statue of Dr. Martin Luther King, Jr. which now stands prominently on one of the busiest courtyards on campus. 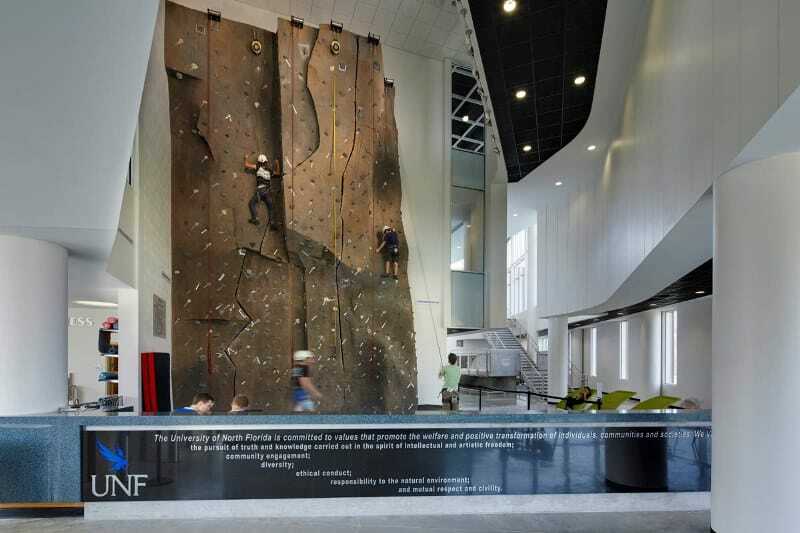 In May 2014, the Complex was judged as the Building Design and Construction Award of Merit by the United States Green Building Council North Florida Chapter and achieved a United States Green Building Council Gold rating.